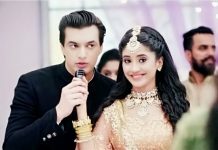 YRKKH: Kartik takes Naira to the hospital for tests. He reminds her tantrums thrown last time. She tells him that she has learnt to trick her mind to control the fears. She thinks of her happy family and also holds dreams for her baby. Doctor tells Kartik that Naira is completely fine. Kartik gets elated knowing the test results. He rushes to inform the family. Naksh gets a good surprise seeing Kirti. She tells him that she came up to surprise him, and got emotional seeing him. They share each other’s worth in their lives. Manish informs the family that Naira is absolutely fine. Goenkas get happy. Samarth finds Gayu’s work and compliments her. Samarth tells her that she is very talented. Gayu shares her designs with him. Dadi gets glad to watch them share the appreciation. Kartik happily hugs Naira and informs her that everything is fine. Doctor tells them that they can plan a baby now, since everything is fine. Kartik goes for an urgency. Naira meets a woman, and learns about the woman’s similar health condition. Naira gets worried knowing the sad story. Naira thinks she should plan the baby soon before the clot recurs. She plans to share her worries with Kartik. Kartik reaches Naira. She tells him that they should plan the baby as soon as possible, so that they don’t regret later for missing the chance knowingly. Kartik proves his love by agreeing to her wish. He doesn’t want to compromise to his health. It turns out to be her day dreaming. Naira seems upset to the family, which worries everyone. 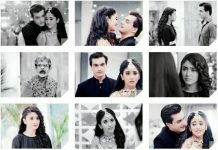 Kirti meets Naira after a long time. They share a talk. Naira prays that she gets a baby soon. She shares about her dilemma. 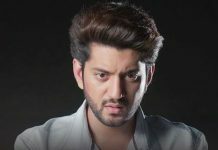 Dadi wants Samarth to get married. Samarth laughs off saying he is too young to get married. Dadi tells him that he should get married soon. Kartik gets a cute puppy home, but elders don’t allow it. Naira and kids request the elder to keep the puppy home. Dadi tells Manish that she has to support her grandchildren, instead her sons. She asks Manish to be happy with the children’s happiness.